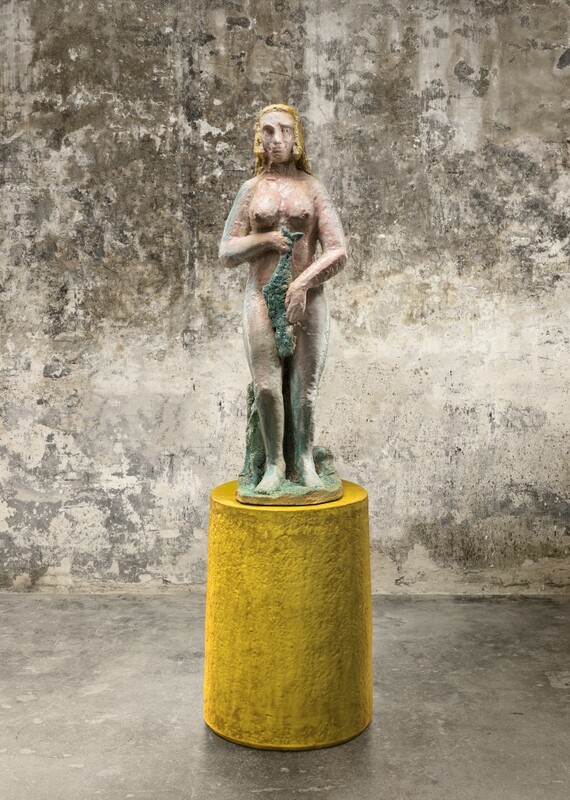 Staged like a contemporary temple, Johan Creten’s exhibition 8 Gods shows at Almine Rech Gallery in Brussels until April 8. 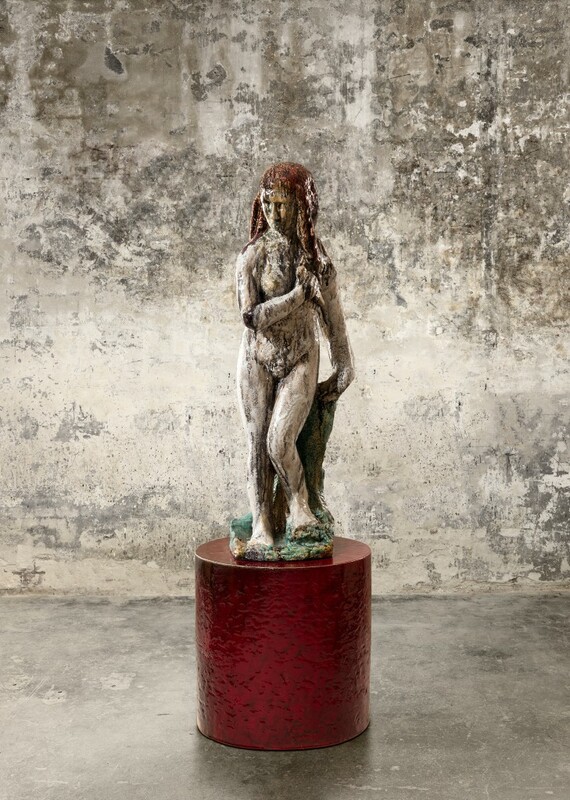 A leader in the resurgence of ceramics in contemporary art, Johan Creten is showing his second solo exhibition at Almine Rech Gallery. 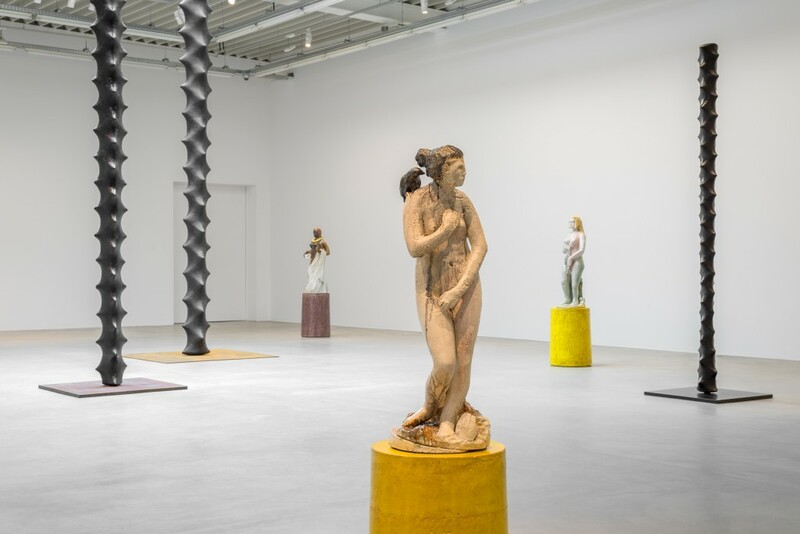 Simultaneously, one of the Belgian artist’s most significant monographic exhibitions, The Crossing, shows at Crac Occitanie in France until April 17. 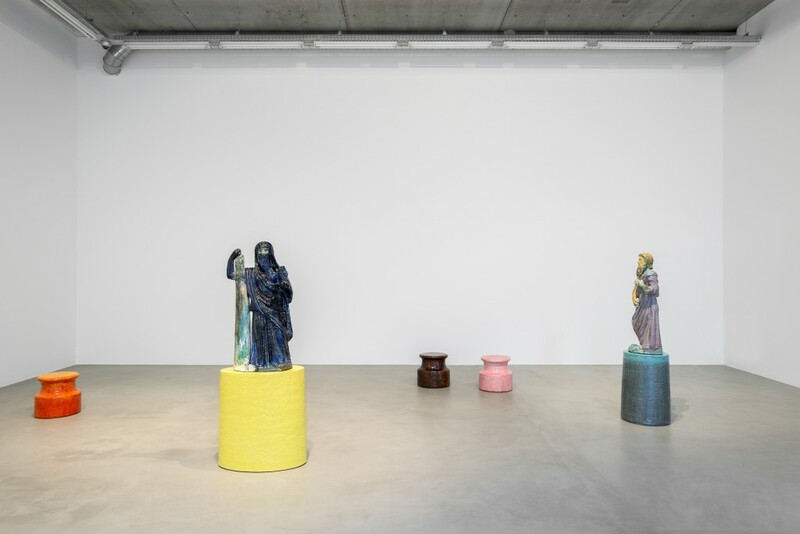 Cretin’s Almine Rech exhibition, 8 Gods, comprises completely new figurative sculptures on coloured plinths. The glazed ceramic characters are animated by the enamel firing technique, presenting a silent but lively council. 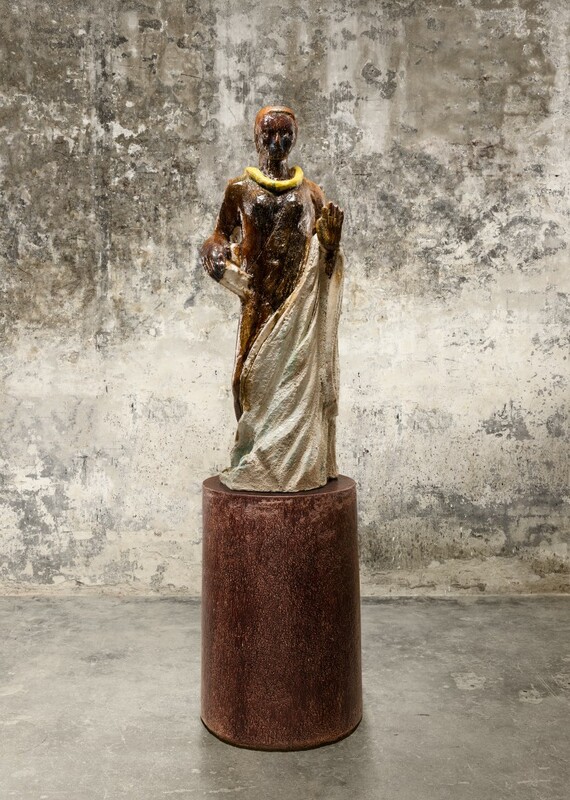 Both male and female, their postures recall the idols of ancient shrines. The idols often evoke duplicities. With an air of seduction, The Knife comes across as both victim and abuser. Similarly, The Ring seems equally prudent and doubtful, and The Mirror presents both justice and resistance. Visitors are also invited to position themselves on one of the plinths, Points of Observation, and reflect on their own viewpoint. The form simultaneously evokes a mooring post and a punctuation mark that gives reason and imperative for pause. 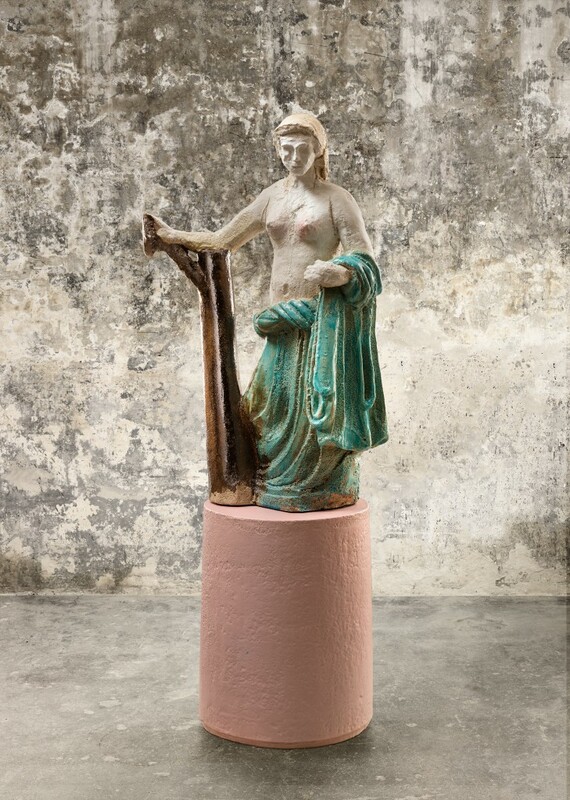 This artistic strategy also emphasises the dubious relationship between sculpture and pedestal. 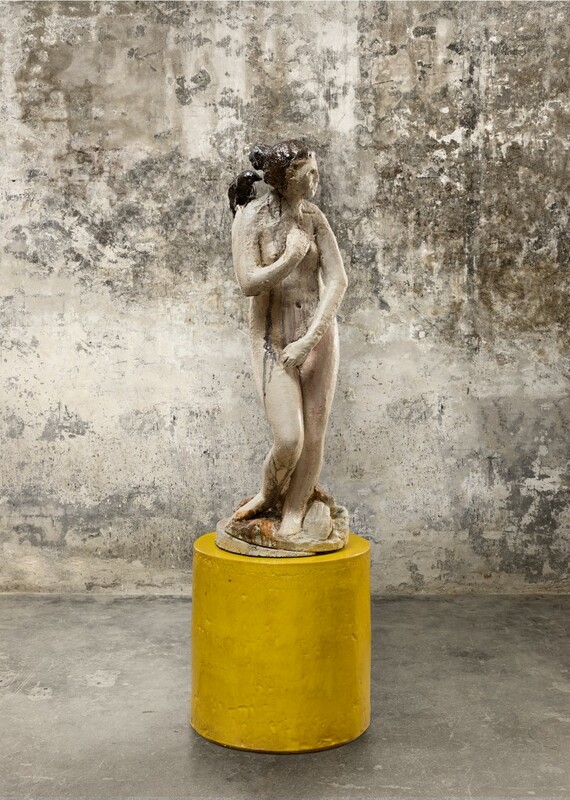 Also on show are a selection from Creten’s Wargames series begun in 2013. The work’s radiantly golden bee nest texture is created by combining melted glass and clay. Hanging on the wall, these works might be mistaken for paintings, but up close the labyrinthine constellation resemble mental landscapes, geopolitical maps or video game battle plans. 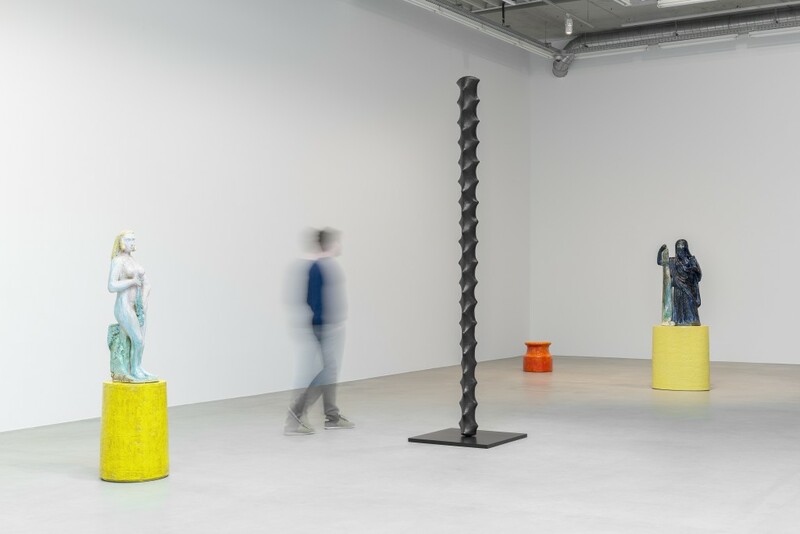 Creten’s Massu bronze-cast black columns complete the exhibition. As tall as 6m, the dynamic pillars are bold, energetic architectural interventions. 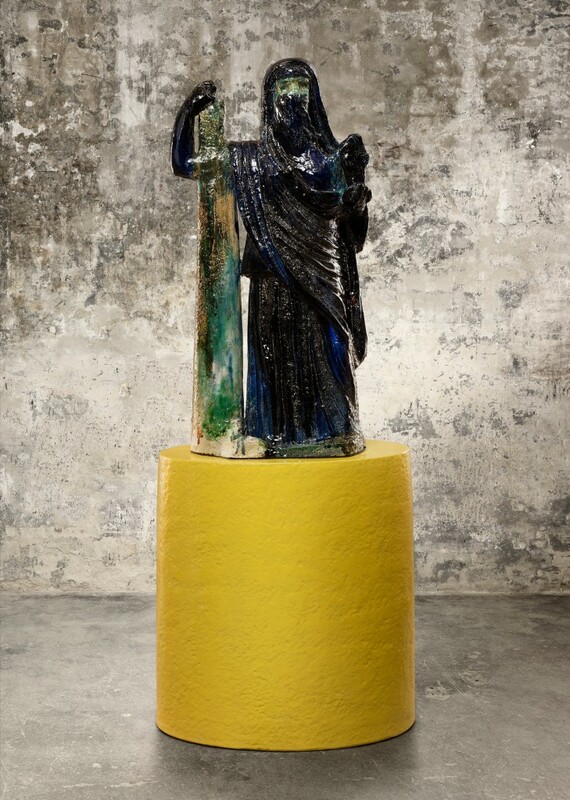 Together the columns, figures, plinths and hangings present a contemporary temple for contemplating personal memory and historical narratives. 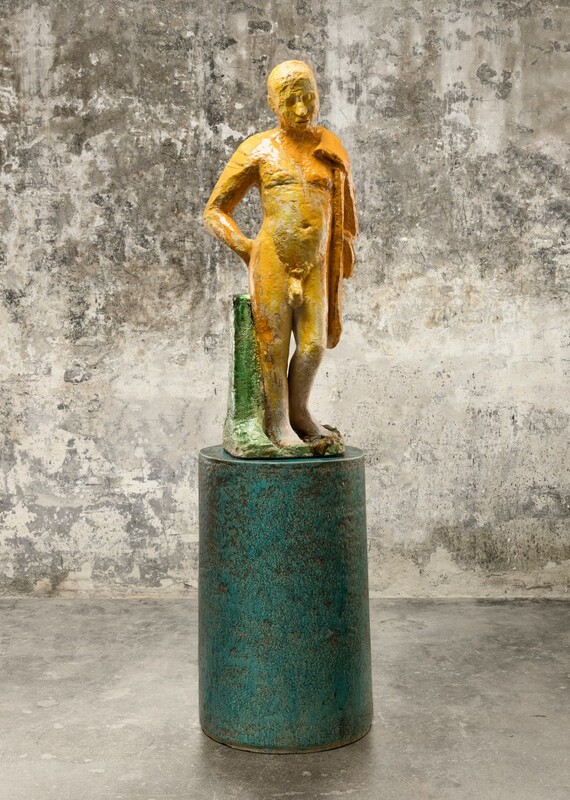 Installation view 8 Gods by Johan Creten. 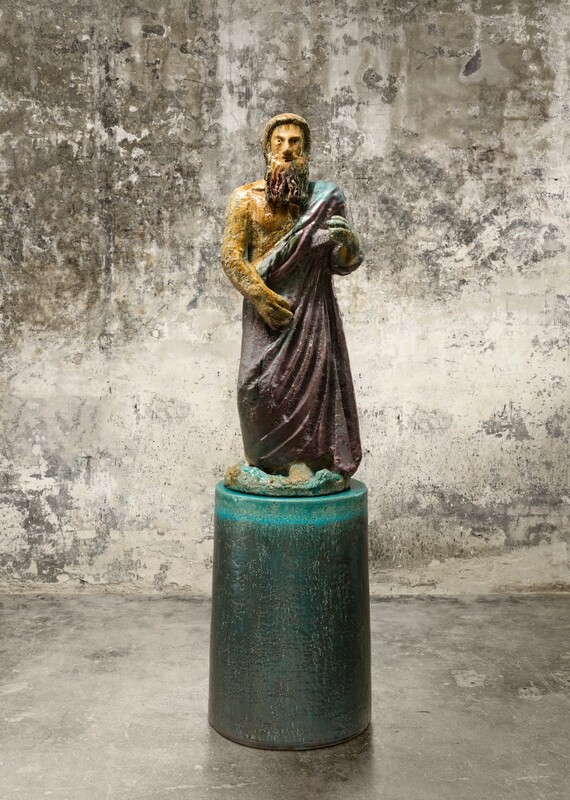 8 Gods by Johan Creten.